They were getting ready to party. 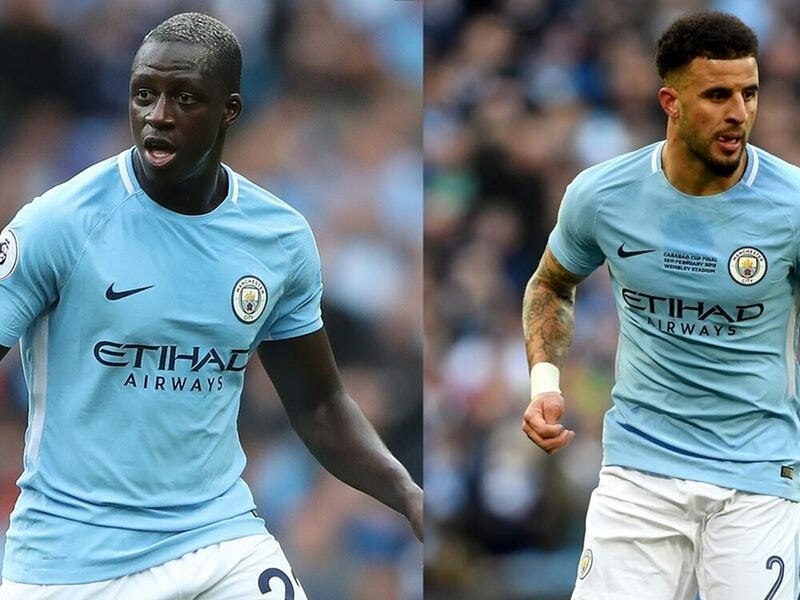 Benjamin Mendy and Kyle Walker have a lot to celebrate after Manchester City clinched their first Premier League title under Pep Guardiola. With Manchester United suffering a 1-0 defeat to West Brom, City managed to seal the title without kicking a ball, while Guardiola was busy playing golf. To which the Frenchman, who has not played since September due to a knee injury, promptly responded with a Gif of his own. But Walker was back with some great Photoshop skills. Then Mendy appeared to suggest the celebratory pictures might not be printable. I rater that than the real ones bro ??????? ?